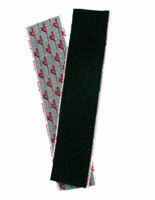 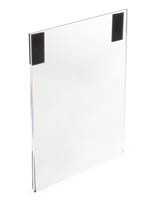 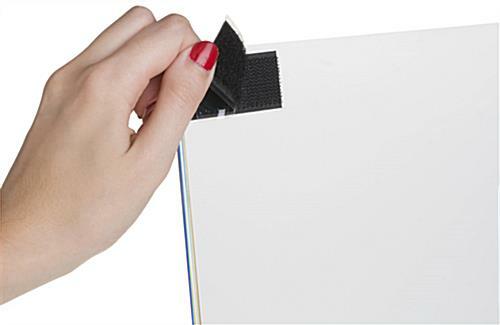 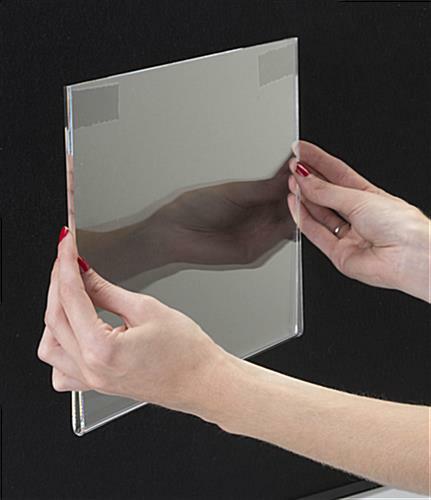 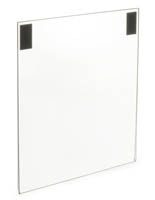 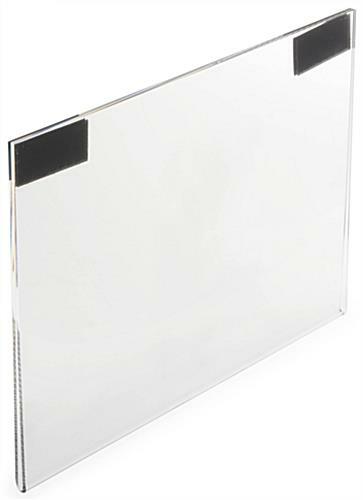 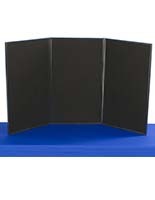 This clear sign display attaches to a receptive fabric board with hook and loop fasteners. 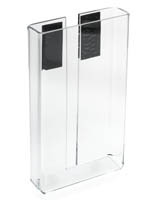 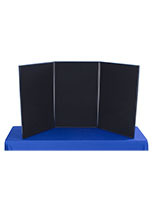 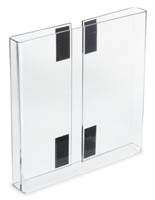 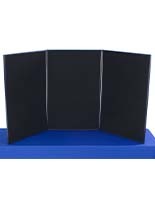 Buy this holder for use in a trade show booth or exhibit space because it requires no tools or hardware for installation. 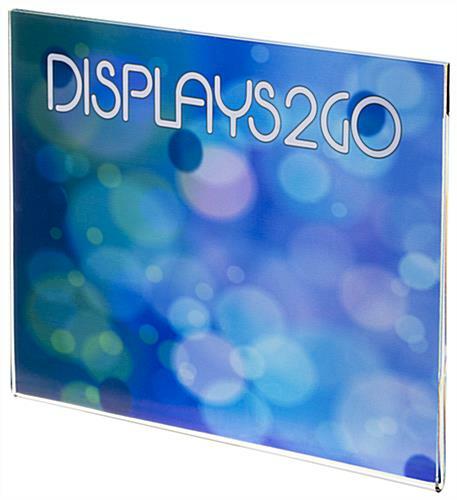 This sign display with hook and loop fasteners is an inexpensive, quality holder for standard 8.5"h x 11"w graphics.